It’s back to the ‘60s for Maureen O’Brien (Vicki), Peter Purves (Steven) and Anneke Wills (Polly), along with Elliot Chapman (Ben), all of whom play a part in narrating this 4CD collection of First Doctor adventures. The psychological style of the Companion Chronicle format is well deployed across this collection, which covers the devastation of the French Revolution, a visit to a land of dreams, a Guy Fawkes’ Night to remember and a precarious alliance with the Daleks. Steven’s adventure promises an examination of his relationship with the Daleks, whilst the back half of the set offers a rare glimpse into the First Doctor’s travels with Ben and Polly. All of the Second Doctor’s TV companions take turns telling tales in this 4CD collection, with Jamie (Frazer Hines), Polly (Anneke Wills), Victoria (Deborah Watling) and Zoe (Wendy Padbury) joined by Big Finish’s take on Ben Jackson (Elliot Chapman). An awesome foursome of tales for the Second Doctor and his friends, including a 1920s ghost story, a sci-fi mystery, an apocalyptic adventure and the staple of the era: the base under siege! This collection is based around pivotal moments during Jamie’s time with the Doctor – the focus on this Doctor’s most constant companion should make a fitting tribute to an era that began 50 years ago. A quiet retreat to the English countryside spirals out of control as a trans-temporal conspiracy threatens to pull reality apart. It’s a race against time through Earth’s past and present, but can the Doctor uncover the truth behind the Doom Coalition at last…? Having spent the first two boxsets setting up various elements, this third blockbuster instalment sees the large narrative cogs of Doom Coalition start to click into place. River’s return appearance makes for added tension as she and the younger Doctor continue their game of cat and mouse. Picking up from the shocking cliffhanger that ended the previous box set, the Doctor must start from nothing if there is any hope of averting genocide on a cosmic scale. 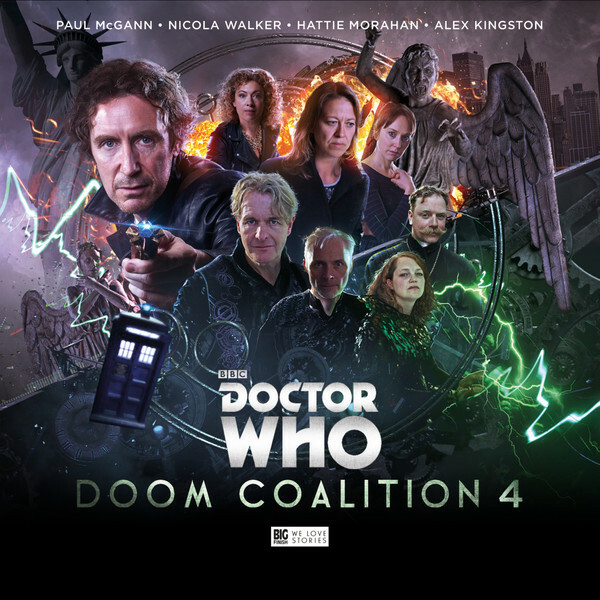 Melody Malone may be the Doctor’s only hope, but she’s just been made a better offer… A lot of build up has gone into the Doom Coalition series, establishing a number of settings and characters to set the stage for this, the payoff. 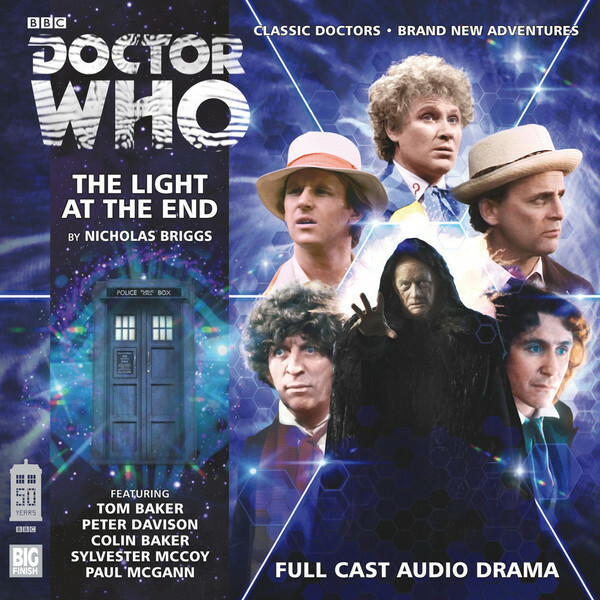 With three companions, a consortium of renegade Time Lords and the Weeping Angels all in play, this 5 CD box set has had everything and the kitchen sink thrown in to make a spectacular finale. Kaldor City Storm Mine uses characters and concepts that appear in Chris Boucher’s Doctor Who novel Corpse Marker to tell a mindbending tale of discovery and transformation. Eighteen months after her final confrontation with Iago, Blayes awakes to find Kaldor City in quarantine and herself on a Storm Mine in the Blind Heart Desert. Her companions are three strangely familiar figures, a vengeful spirit – and a robot with a dangerous secret. Trapped in a claustrophobic, dreamlike environment, the former terrorist must now undertake a journey which may end in the destruction of her world– or its beginning. November 23rd 1963 proves to be a significant day in the lives of all eight Doctors. It’s a day that sets in motion a catastrophic chain of events which forces them to fight for their very existence. As a mysterious, insidious chaos unfolds within the TARDIS, the barriers of time break apart… From suburban England through war-torn alien landscapes and into a deadly, artificial dimension, all these Doctors and their companions must struggle against the power of an unfathomable, alien technology. From the very beginning, it is clear that the Master is somehow involved. By the end, for the Doctors, there may only be darkness. Sixth Doctor actor Colin Baker discusses his long and varied career in this 2CD release. This special release should contain many an insight into the man behind one of the most controversial – but by turns most beloved – incarnations of the Doctor. The past and present collide when new-school UNIT team up with their 20th century counterparts, as Jemma Redgrave (Kate Stewart) and Ingrid Oliver (Petronella Osgood) are joined by Katy Manning (Jo Jones), John Levene (John Benton) and Richard Franklin (Mike Yates). Beneath the surface, an ancient force is rising. The Silurians and Sea Devils are poised to take back their world. Revolution is coming… Featuring old friends and foes alike, this 5CD box set has all the oomph and excitement of a summer blockbuster! 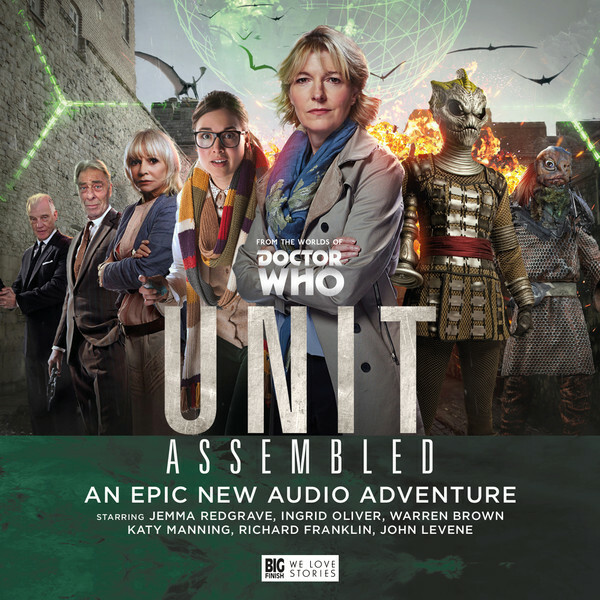 The new-school UNIT team are back in full force for this 5CD box set, with Kate Stewart (Jemma Redgrave), Osgood (Ingrid Oliver) and Lieutenant Sam Bishop (Luther’s Warren Brown) leading the charge. Nick Briggs meanwhile adds another monster voice to his repertoire, portraying the Silence. There is no proof of any hostile incursions of a species with the ability to wipe themselves from the minds of others. There is no evidence such a species may be behind the sudden rise of divisive politician Kenneth LeBlanc. There is nothing that poses a clear and present danger to planet Earth. 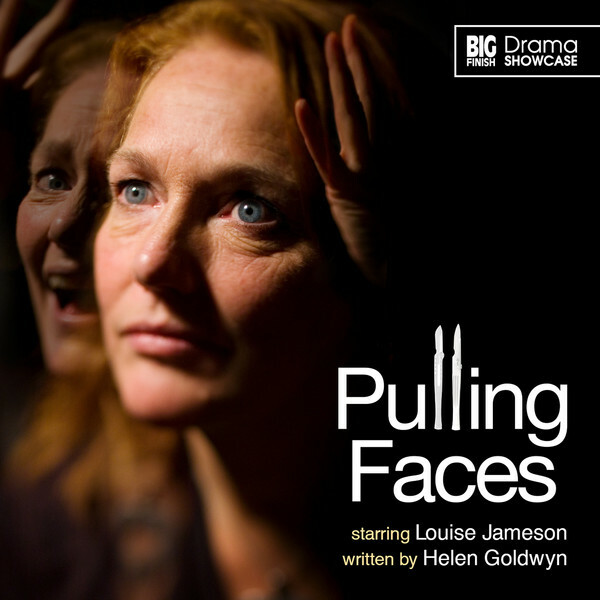 Or so it seems… Big Finish flex their new series muscles in this UNIT vs Silence showdown over four feature-length dramas. With a storyline featuring a controversial political movement, this release feels entirely right for the age of Brexit. 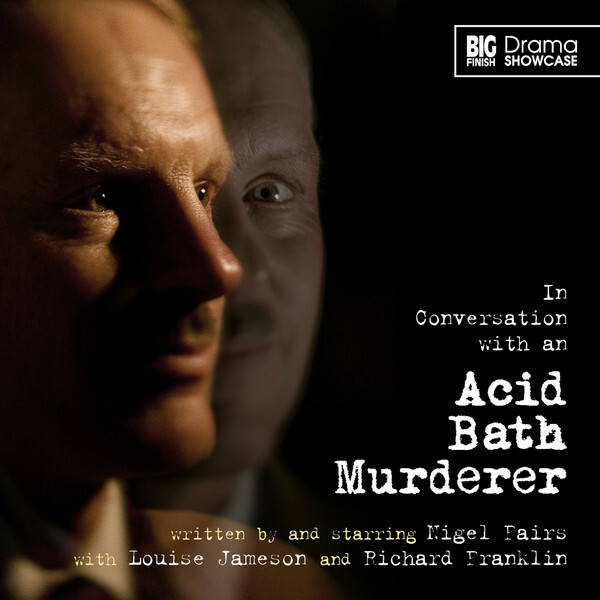 Prominent Big Finish authors Matt Fitton and John Dorney provide stellar material. 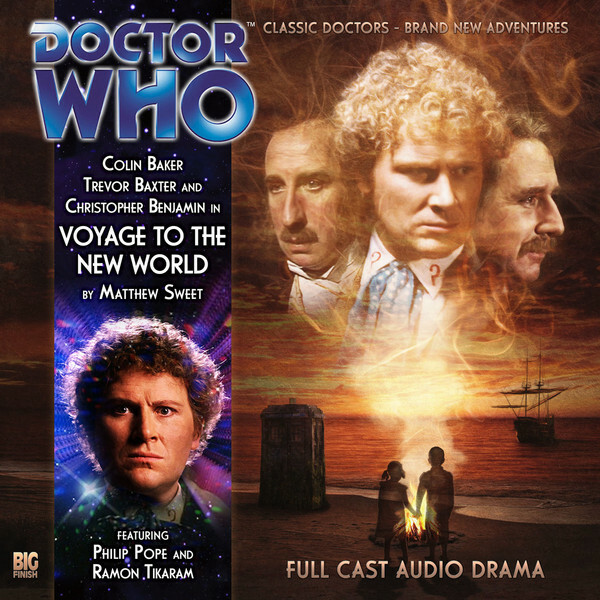 A Full Cast audio adventure on a single CD, starring Colin Baker as the Sixth Doctor, Christopher Benjamin as Henry Gordon Jago and Trevor Baxter as Professor George Litefoot. Roanoke Island, 1590. The Doctor’s companions, Professor Litefoot and Henry Gordon Jago, find themselves prisoners of the natives in the New World. But there’s something something strange here – stranger than even the colonists, led by Englishman John White. What are the ghostly children? And who is the Old Man of Croaton? The travellers are about to discover the secret of the lost colony… and it may cost Jago’s life. A Bernice Summerfield audio adventure on a single CD starring Lisa Bowerman. 26 years ago, a team of scientists came to a moon to unearth the secrets of a long-dead civilisation. They were later found to have died in what the authorities called an anti-matter explosion. 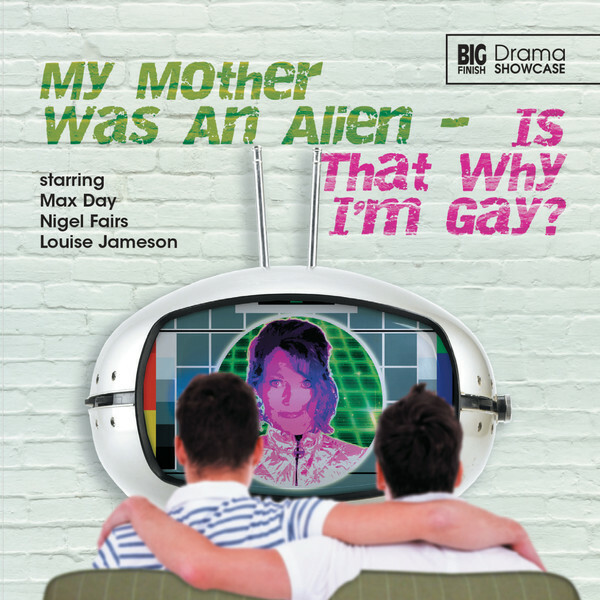 Alone and desperate, Bernice Summerfield will do anything to get back home. But where is home? The capital world of Zordin seems to offer the only chance of answers, but that’s a long way away. The offer of a job could be her best way of paying for the voyage but… archaeology is illegal… and there’s a quarantine… and she’ll have to leap from a spacecraft in orbit. But what does that matter? On a world guarded by armed satellites and patrolled by defence drones on the surface, Benny’s going to have to use all her knowledge, skill and wits. Because it’s not the moon itself that’s the problem. It’s what happened there; what remains there; what might escape. 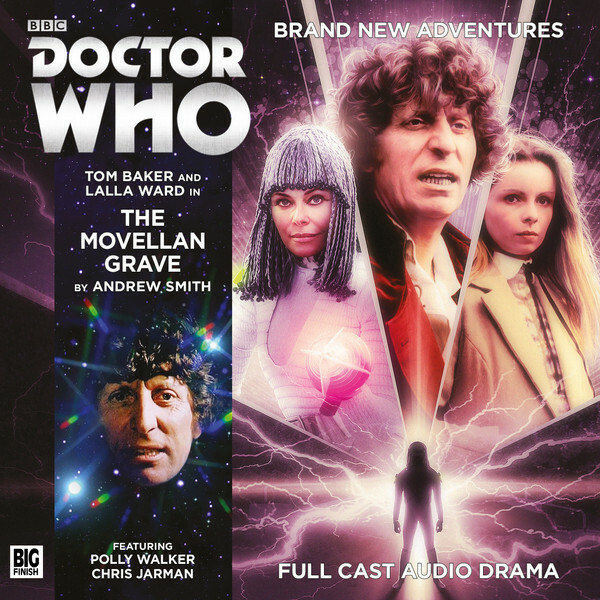 Carole Ann Ford, Maureen O’Brien and Peter Purves reprise their ‘60s television roles as well as narrate this collection of First Doctor adventures. Often praised as the most consistently engaging audio range, the Companion Chronicles were laid to rest in June 2014 – only to make a surprise return with this special 4CD boxset. This collection promises a continuation of the range’s unusual, intimate storytelling; with Susan venturing from the TARDIS on her own, Vicki working an office job, an older Steven living the life of a mountain-dwelling hermit and a peculiar encounter with Benjamin Franklin!